In Crimson Hollow, darkness rules, and those who seek the light are eliminated. Twenty-one-year-old fae, Isabel, is kidnapped and tortured by a half-vampire, half-fae hybrid who is part of an army raised with one goal: the enslavement and killing of all good fae and humans. During her captivity, she vows not only to escape but also to lead a rebellion against the dark army. But when her rebellion is ambushed, she is recaptured and imprisoned until she can be brought to the treacherous Hollow Council for trial and punishment. Isabel is sure she is going to die, until Adriel, the hybrid soldier assigned to her charge, helps her escape. 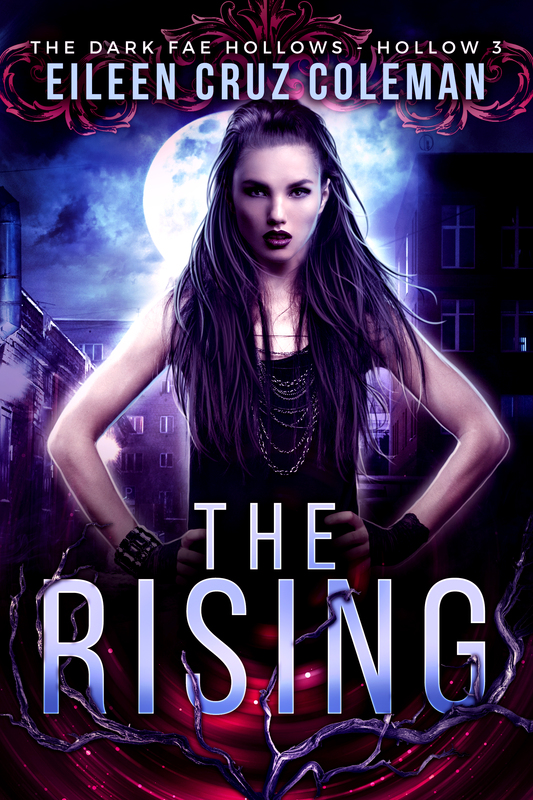 Now, on the run with Adriel at her side, Isabel must stay alive long enough to reach a secret camp of hybrids who wish to stay hidden and somehow convince them to join her rebellion. To restore peace and light to Crimson Hollow, Isabel will risk everything…including her life. After the Fae and Humans nearly destroyed each other and their realms, the Queen of the Good Fae buried her thirteen daughters amidst the ruins, using their innate magic to create thirteen new hollows where Fae and Humans could rebuild. Her valiant efforts were too little, too late. The violence and devastation contaminated the land, and dark energy leached into the earth, infecting the Queen’s thirteen daughters’ magic. One hundred years later, the daughters rose from the earth. And with them came unimaginable darkness. These are the stories of the Dark Fae hollows.